Whenever equipment malfunctions contribute to an aviation accident, the pilot is put in a situation where his or her actions may not always be sufficient to prevent a crash. In many cases, the liability of the accident may be shared between a pilot and the manufacturer of a defective piece of equipment that caused the pilot to make a miscalculation or error in judgment. The assessment of product liability and the pursuit of damages also differs than that of negligence due to the laws in place that protect consumers from defective or poorly designed products, so in some cases, it may be easier to seek damages from a manufacturer than a pilot or airline for injuries caused by a plane accident. Holding a pilot, flight attendant or ground crew member liable for an accident requires that the victim prove that the employee failed to prevent the incident from occurring. The failure to act to address a known safety concern or an action that directly results in or contributes to the cause of an accident constitutes negligence. It can be difficult in many cases to prove negligence, primarily if the employee acted appropriately and in compliance with policy and FAA regulations. Therefore, if the accident was the result of equipment failure or the loss of structural integrity due to defective or poorly designed devices or components, the manufacturer may be held responsible instead. It is much easier to seek damages from manufacturers for accidents caused by product defects because of the strict liability doctrine. This doctrine protects consumers by eliminating the need to prove negligence when suing product manufacturers. In other words, regardless of whether a pilot made an error or acted appropriately if an accident was caused by a faulty component or device, the company that produced the defective item is accountable for any injury or loss of life that results. Products may fail to perform their intended use for various reasons, and if it is determined that the failure was the result of a flaw in production or design, it is possible to hold the manufacturer accountable for an accident caused by the defect. 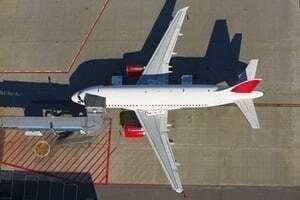 The types of defects can cause aviation accidents including. Design flaw— If the product failed due to flaws in its design, the manufacturer is liable for any accidents caused by the defect and required to recall any defective products that have been sold. Defective materials— Especially in the case of structural components, manufacturers will often cut corners and use cheaper metals which may cause the frame and wings of an aircraft to crack over time and break under pressure. Failure to warn— Whenever it is possible for a product to cause harm when misused, the manufacturer must provide a warning to whoever intends to use it. If the product lacks a warning label and is the cause of an accident, the manufacturer may be liable. If you, or a loved one, have been involved in an aviation accident, it is essential to understand your rights and how to determine who is at fault for your injuries or the loss of a family member. Contact Rosenfeld Injury Lawyers LLC today to schedule a free consultation with an attorney who will be happy to answer all of your questions, examine the details of your case and go over your legal options with you so that you know what to expect from your case from start to finish. If we are unable to collect the compensation you are entitled to on your behalf, our services and advice will be free of charge.